Nissan is to announce it is abandoning plans to produce its X-Trail car at its Sunderland plant, according to reports. Sky News reported on Saturday that it has learned that the Japanese car-maker’s executives will confirm the move on Monday. The report also states that the move will not have a major impact on jobs because because the plans related to future investment activity. Nissan said back in 2016 that the X-Trail SUV car would be produced on Wearside after receiving assurances from the Government. 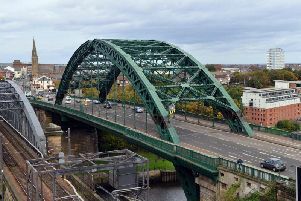 The firm employs 7,000 people at its Sunderland factory and 8,000 overall in the UK. Nissan's Sunderland plant employs 7,000 people from across the region. Last October its executives said it was one of a number of companies which have made major investments in the UK waiting for clarity on what future trading relationships will be like when Britain leaves the European Union. Months before, in June, the company also said it would halt investment plans in the UK while it remains “in the dark” about Britain’s future relationship with the EU. A spokeswoman for Nissan said the company would not comment on rumour and speculation. According to Sky News’ report, Nissan’s decision is not expected to have a major impact on jobs. Nissan Sunderland plant confirms it will build the new Qashqai and the X-Trail SUV in 2016. Pictured is Colin Lawther, Nissan's senior vice-president for manufacturing. The U-turn comes as figures show car production slumped by almost a tenth last year, leaving the industry on “red alert” amid continued Brexit uncertainty.